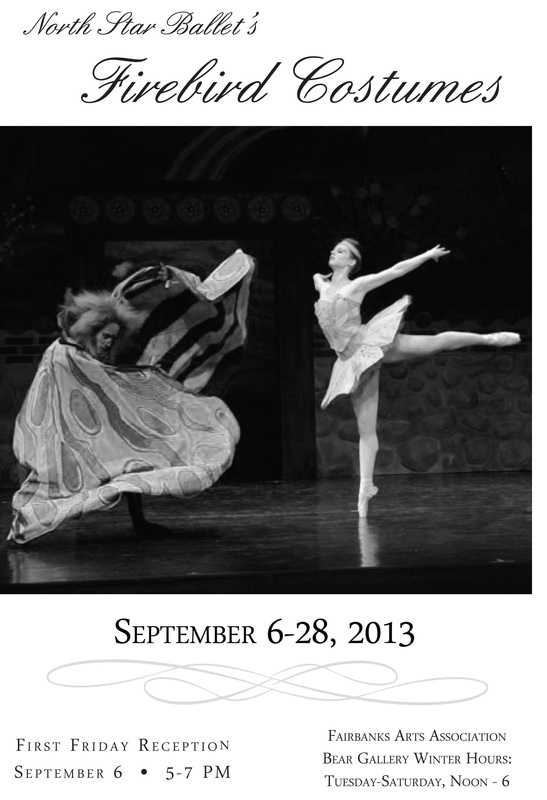 You are invited to delight in the beauty and artistry of the costumes of North Star Ballet’s ‘The Firebird’. First Friday Reception: Friday, September 6th, 5-7 PM in the Bear Gallery, Alaska Centennial Center for the Arts, Pioneer Park 2300 Airport Way, Fairbanks, AK. For more information please contact Jill Shipman at 456-6485 ext .222 or jill@fairbanksarts.org.